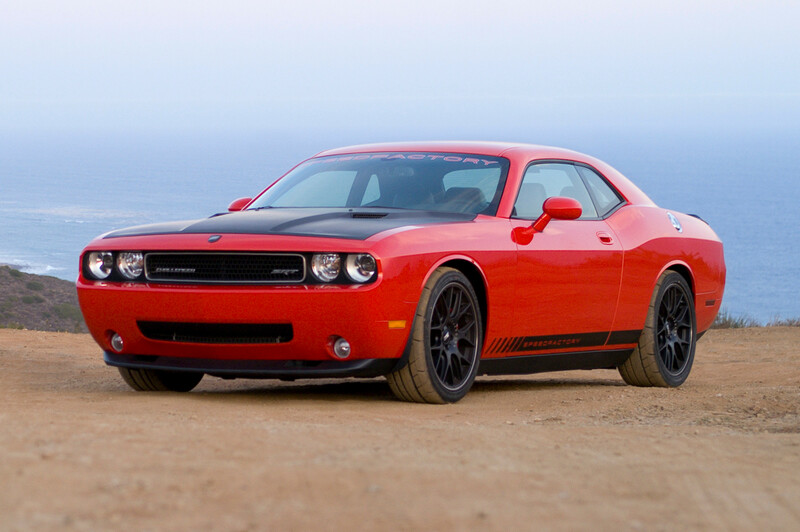 Atlanta, GA -- SpeedFactory, a top-tier modern muscle car builder, will introduce the first modern supercharged, all-aluminum, 440 Hemi-powered Challenger at the upcoming SEMA Show in Las Vegas, Nevada, Nov 3-6, 2009. The SpeedFactory prepared 2009 SRT8 Challenger is powered by a bored and stroked 6.1L Hemi Mopar aluminum block, increasing the displacement to 440 cu. in. (7.2 liters). It includes CNC ported Mopar aluminum heads and a completely forged rotating assembly. A Vortech V3 centrifugal supercharger boosts the output of this reliable, modern Mopar power plant to 700HP on premium-grade 91 octane pump fuel. SpeedFactory performance modifications include Mopar Performance NAG 1 transmission, Mopar Performance fuel rails, Moroso coolant tank and oil pan, Getrag IRS with 1000 HP half-shafts, Corsa stainless steel cat back exhaust system, performance springs, sway bars, and additional strut tower braces, 15" Brembo 6 piston front disc brakes and Bridgestone R Compound tires mounted on 20" BBS Black Edition CH-R flow-formed wheels. SpeedFactory's Signature interior package includes logo-embossed seat backs, matching door panel stripe with logo, custom floor mats, Mopar door sills and T-handle shifter. Visually, the exterior of the car has also been enhanced with a race-inspired, matte-finish, full carbon fiber hood and rear deck spoiler, as well as SpeedFactory Signature badging and graphics. This car is part of SpeedFactory's research and development platform for its line of tuned, advanced engine, and supercharged modern muscle cars. The SpeedFactory Challenger will be on display at the MOPAR Booth, #43127 , from Tuesday, Nov 3rd thru Friday, Nov 6th at the SEMA Show. Based near Atlanta, GA, SpeedFactory is a specialty vehicle company focused on unleashing the performance potential of modern Dodge/Chrysler vehicles and builds enhanced, high-performance modern muscle cars such as Dodge Challengers, Chargers, Magnums, and Chrysler 300's. 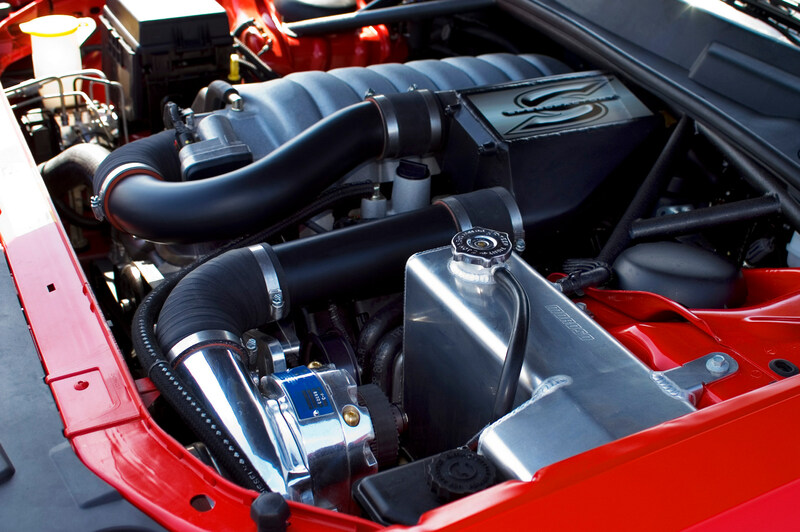 SpeedFactory offers supercharged, big block, and naturally aspirated performance packages with limited power train warranties on certain vehicles and configurations. SpeedFactory sells complete turnkey vehicles and parts and enhances existing customer cars thru select Dodge/Chrysler dealerships. SpeedFactory is a division of Landmark Automotive Group, LLC.